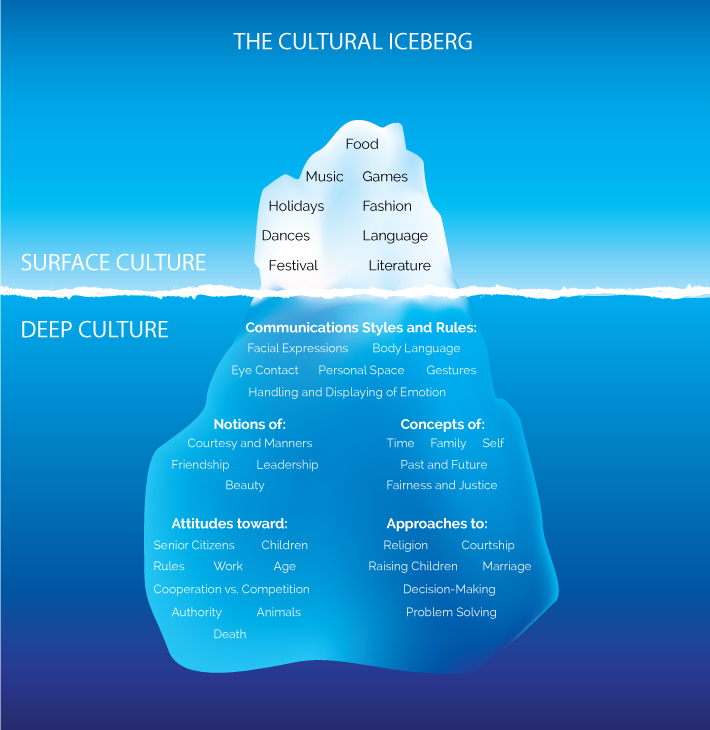 It is important to understand the difference between surface culture and “deep” culture. Surface culture is easy to understand in that it is a somewhat self-defining term. Surface culture refers to the tangible norms of behaviour that you can see. For example fashion, food, personal space etiquette, table manners, etc. 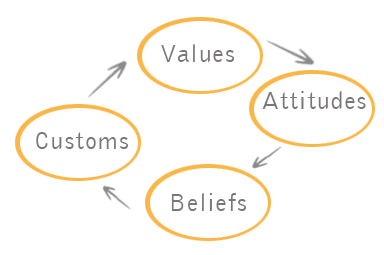 Cultural dimensions have been deeply researched by Geert Hofstede and are a key understanding in cultural psychology. 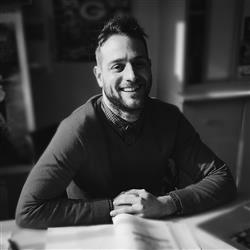 Hofstede has in essence quantified elements of “deep culture” for the purpose of understanding differences and similarities so to better facilitate human interaction.